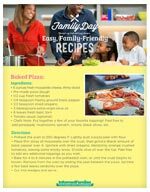 Make Something Delicious Together on Family Day, Monday, September 24, 2018. Hectic work schedule? 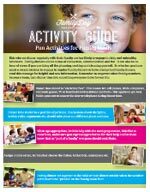 Swimming in after-school activities? Do outside influences interfere with your family's dinnertime? 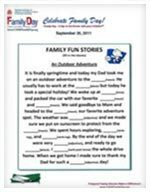 Family Day™ (September 24, 2018) is a national effort to promote family dinners as an effective way to reduce youth substance abuse and other risky behaviors, as research by The National Center on Addiction and Substance Abuse at Columbia University consistently finds that the more often children eat dinner with their families, the less likely they are to smoke, drink or use illegal drugs. 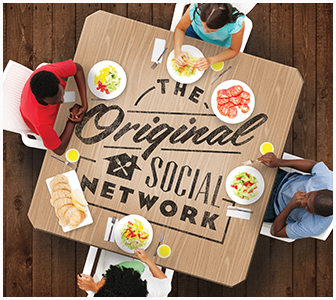 This September 24, Informed Families invites you to spend time with the original social network (your family at the dinner table!) and join us in standing up for sitting down to dinner. 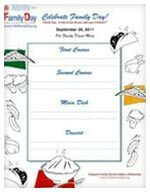 Get ideas on fun things to do during family meals to ge the conversation going and keep everyone involved.